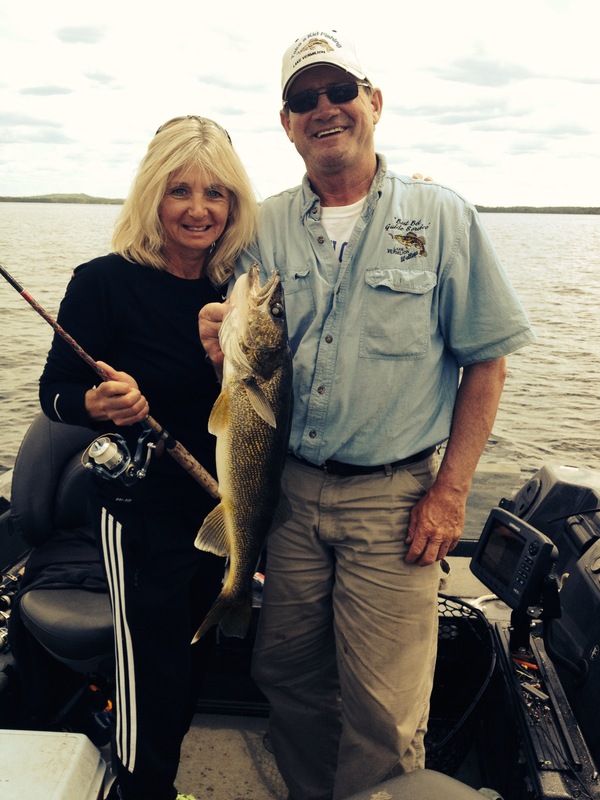 July 27, 2014… the past month we have had some great weather and excellent fishing. water levels have dropped ..Although still higher than past years for late July. Walking out on the Dam is not recommended for the people who enjoy doing that this time of the year for the strength of the water flow over the Dam could take you off-balance. Overall the higher than normal water levels have not impacted fishing with exception of the later opener. The late opener delay the water temps from warming up which in turn delayed fish from getting into their summer patterns. So the only impact if any is fish were still being caught in shallow areas that are normally associated with spring fishing. So far this year we seen some big Northern ( up to 42 inches) caught over shallow water until about the last week of june . Once the mayflies started their annual hatch ( around the first week of July) fishing over deep open water took off with Cisco schooled up tight feeding on the Mayflies so that meant the larger predators ( Musky and Pike ) were concentrated also in those same areas cashing in on the unlimited food source. Guests fishing with large shallow running crank baits and running them right below the surface over deep water in Niles and Frazer Bay were catching big Northern and Musky consistently. One the largest Musky of the season was caught trolling by Nolan Spregeler. His Fish measured 55 inches. 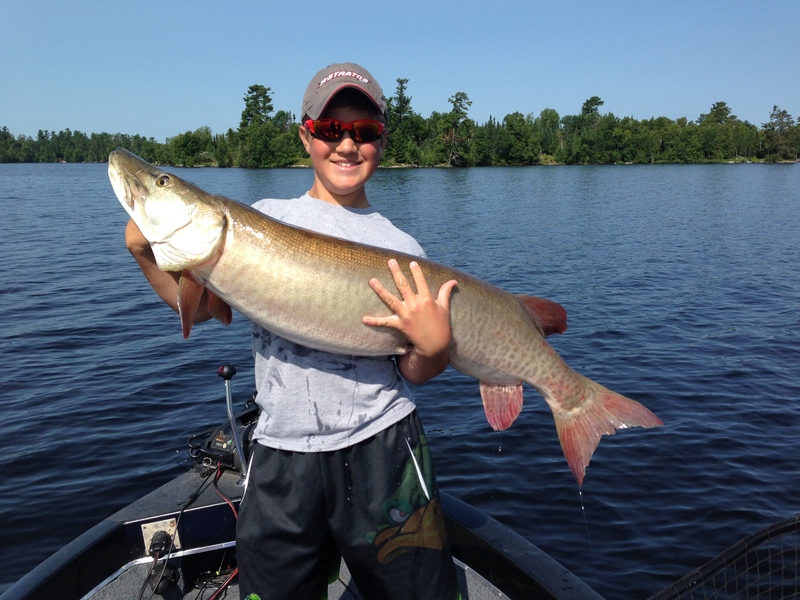 Nolan is an experienced Musky fisherman and caught several musky the week he was here. 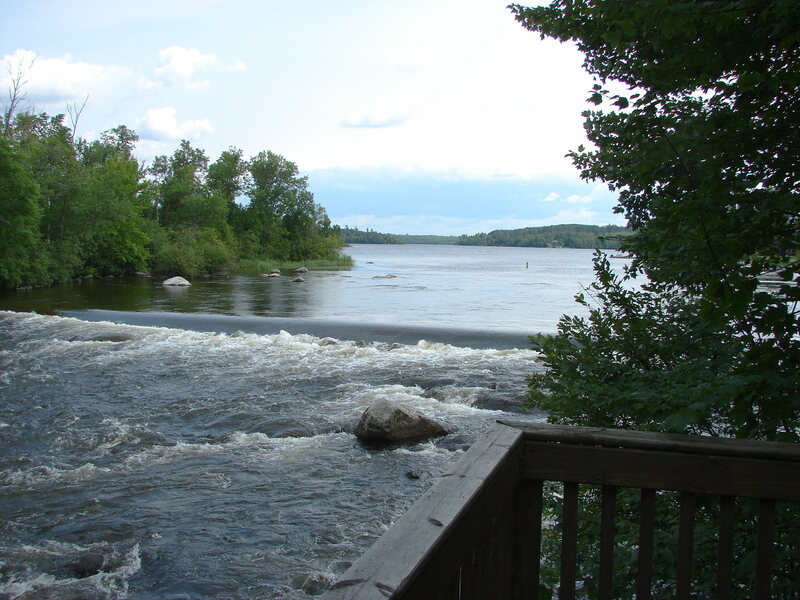 Guests fishing right in front of the Dam/Lodge for smallmouth and Largemouth bass have enjoyed some good action. One family( Lou Oine family from Elgin Illinois) had an afternoon where they caught and released over 40 bass right in front of the Dam. 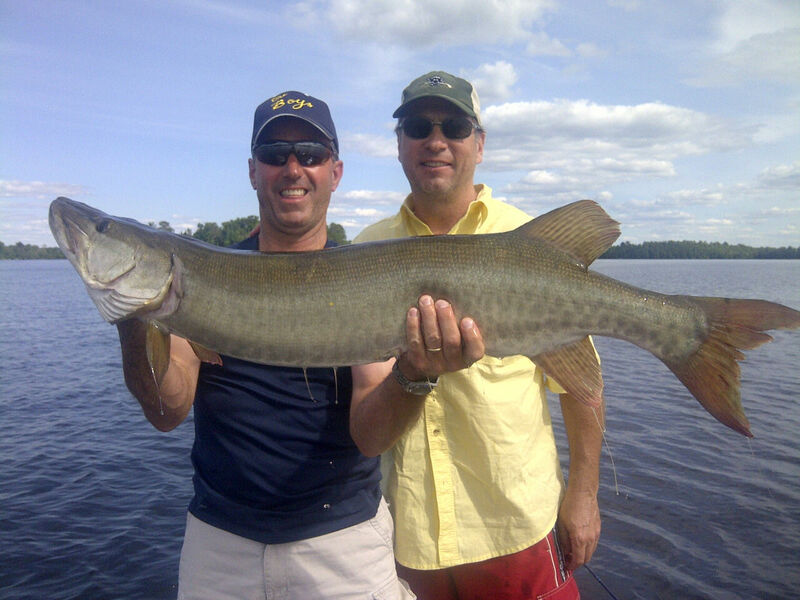 Guests that come up in early July to target musky had excellent fishing. Rick Becker and son Sammy from Illinois, caught 8 muskies and several large Northern during their week. Sammy broke his personal best with a 50 inch musky. 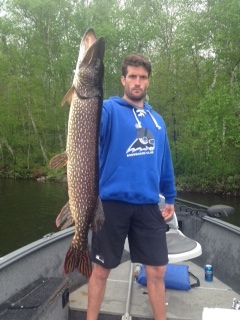 In addition he caught a 42 inch Northern…he and his dad put their time in fishing and it pays off for them. Another Father/son team Jim Bolman/Jackson Bolman had a great week of catching limits of walleye, Bass and northern. Bob Bronke and crew from Downers Grove , Illinois also caught 8 musky. One guy their group was up on his first trip to Vermilion and caught 2 muskies both 51 inchers. 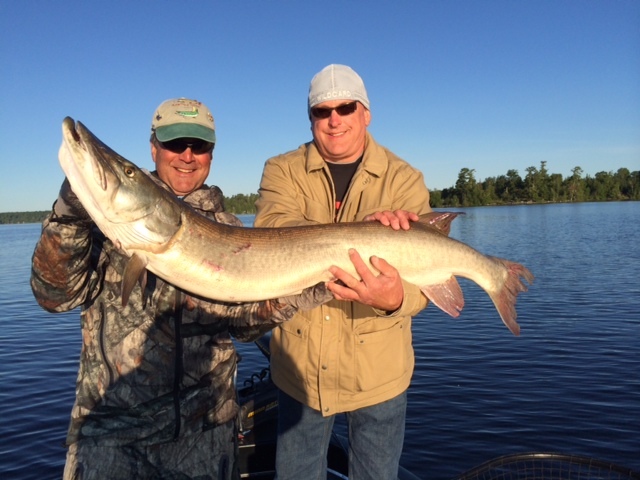 Jim Smith from St. Paul Mn…was up for their annual family trip both of his sons Robbie and Danny caught 49 inchers. In addition, they also boated several large Northern. Bass fishing for both Smallmouth and Largemouth seems to be getting better and better. The Rusty Crayfish which we ( Resort Association) have concerns over is actually providing a great source of food for the smallmouth. We hear from everyone that the smallmouth are full of Rusty Crayfish when they catch them. The good news it seems ( my observations only) the Rusty are being kept in balance by the healthily Bass population for we are seeing good weed bed growth in the bays that we had concern the Rusty might be taking out. It still warrants watching in the years to follow but right now it seems to be ok. Walleye fishing has really picked up in the last two weeks . Walleyes are being caught on standard Crawler harnesses and slip bobbers with Leeches. Key areas this past week were mid lake rock humps and channels with gravel. Perch population is Walleye are full of 2-3 perch. caught some trophy walleye. The highlight of their trip their son Chris caught and released a 41 inch Northern that grabbed a perch he was reeling back in. Summer is flying by and we look forward to another busy fall. Thank you again to all our guests that provide us the business that allows us the opportunity to keep the tradition of Vermilion Dam Lodge going . After a long..and I mean loooong winter, we finally lost our ice around the opener (May 9th). Water levels started high with periods of rain on and off for weeks. As of today, the water levels remain higher than normal. The high water has only impacted our ability to get in out of the boathouse with two inches of water covering the concrete. Overall I would guess to say the water level is a foot above normal averages for this time of the year. 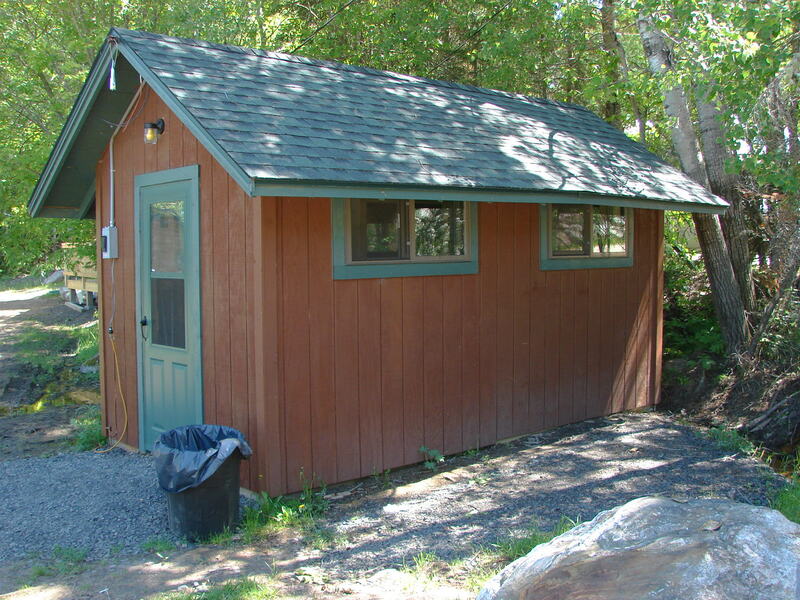 Spring projects for us were the completion of our shop for boat repairs, boat renovations, and several cabin upgrades. One long overdue project was expanding /upgrading our fish house. One group of fisherman from Dubuque Iowa ( Tommy Ball Crew) that have been coming up for 17 years have requested a larger fish cleaning house for several we were excited to surprise them when they showed up the first weekend of June. The new fish house is now double in size and can accommodate several fishermen cleaning at the same time. Walleye fishing started slow for the opener and picked up by the first week of June. We have not seen Mayflies so far but several bug hatches with the high amounts of rain. Mosquitos have been rough right at dark…definitely have to wear your bug spray if going out in the evening. 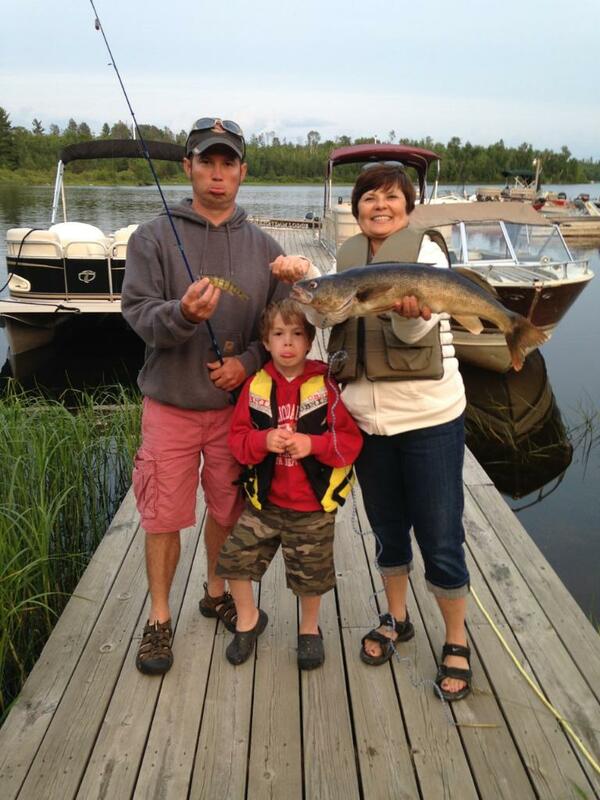 Walleyes are now taking crawlers and leaches in their normal summer locations ( weed edges sandbars). Best bait still remains a single lindy rig ( number 6 red hook ) and half a crawler. Bass fishing has been excellent since Memorial Day weekend. Both largemouth and smallmouth still are hot. Best baits are tube jigs and the old standard Sinko in pearl color. Fisherman reporting seeing large schools of perch so perch colored lures are doing well. 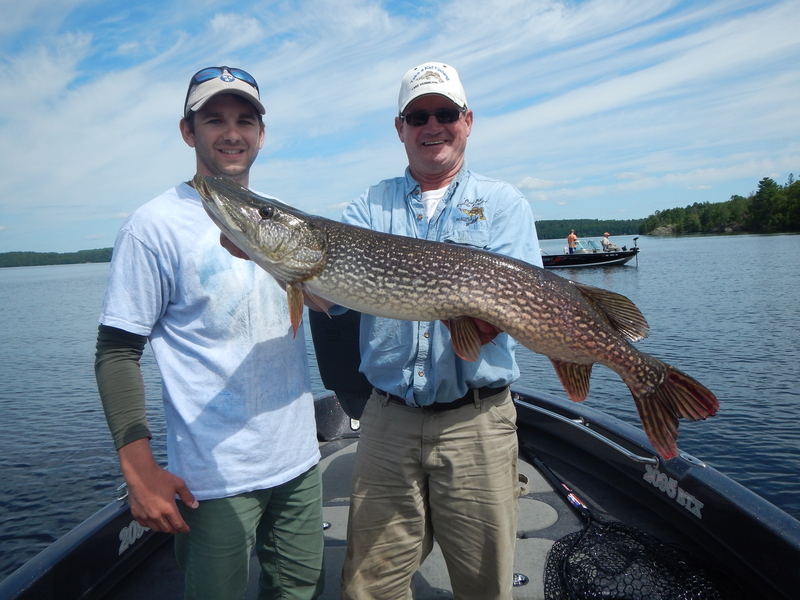 Northern Pike fishing has been excellent this year with several 40-inch class fish taken. Dave Olson and friends from Minneapolis caught several large pike Memorial weekend including a beautiful 41 inches. With the late ice out fishing in shallow water remained excellent from about May 23 until the middle of the first week of June. Smallmouth bass has finished spawning with water temps now into the mid-60s. Both smallmouth and largemouth fishing was excellent last week. Three different groups of fisherman from Indy (Roy and the crew, Cain, and Neese family) All reported fantastic Bass fishing for both Smallmouth and Largemouth. Most of the fish taking tube jigs spinner baits and Sinkos. Last Monday morning we had a special guest stop by the resort. Al Linder ( Angler’s Edge and In-Fisherman) stop in for Breakfast with one of the local guides Bill Rosner. Bill was shooting a show with Al on the Vermilion River. It was an honor to meet him giving what he has contributed to the sport of fishing over the years. His personality is just wanting you to see on the t.v. shows..very open, friendly and willing to share his knowledge with anyone that walks up to ask him a question. Everyone here really appreciated the opportunity to meet and talk with him. 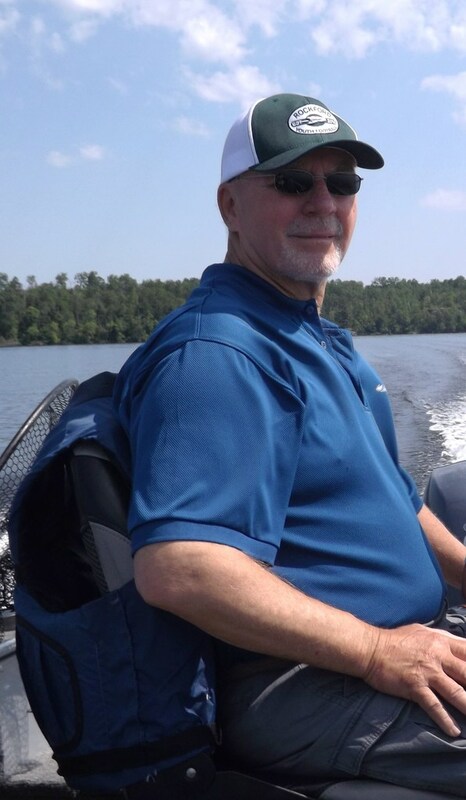 On a sad note, we lost a very close friend this past week…Steve Eisentrager from Blane. Steve and his wife Mary have been guests at the resort since 2007. Steve died last Friday after a battle with A rare form of cancer. We have had the pleasure of getting to know Steve and Mary very well over the last several years. Following his retirement a few years back he asked me if we could use help in the spring to get open and again in fall during our larger events like the Walleye School and Musky outing. For the next years, they would come up for up a month at a time to help with whatever we needed. Both Steve and Mary are great people and they really fit in great here at the resort. Steve always had a great sense of humor and was always willing to help anyone that needed help. We will miss him and really appreciated the opportunity to have got to know him.